This film is called Now You See Me 2; Once the movie started, I wished it was called No, I Didn’t. Starring many Hollywood A-list actors who realized they needed another million dollars, this sequel to the 2013 box office hit fails to recapture lightning in the bottle. After the events of the previous film, Dylan Rhodes (Mark Ruffalo) is hiding his three remaining Horsemen from the FBI. 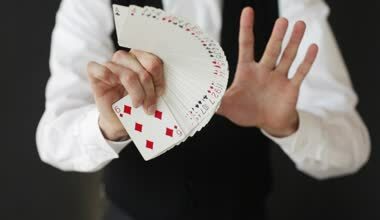 They’re Daniel Atlas (Jesse Eisenberg), a former street magician, Merritt McKinley (Woody Harrelson), a hypnotist, and Jack Wilder (Dave Franco), who can do card tricks. Joined by the one female smurf, Lula May (Lizzy Caplan), they set out on a new mission from the Eye to expose a corrupt businessman. Their mission fails to go according to plan, and the four Horsemen are spirited away to Macau. Dylan will free Thaddeus Bradley (Morgan Freeman) from jail, whom he blames for the death of his father. The Horsemen contend with Merritt’s evil twin Chase, tech mogul Walter Mabry (Daniel Radcliffe), and Arthur Tressler (Michael Caine). The Horsemen are conscripted by Walter to steal a quantum chip that is able to hack into any computer. Continuing to suffer from sudden plot shifts as the film elapses, the audience of Now You See Me 2 will be tortured with increasingly absurd twists and turns. Evidently, the writing process for Now You See Me 2 involved tossing random plot points out of a hat. Characters and events arise from nowhere, and the story pushes forwards by cannibalizing itself. It’s impossible to predict what events are going to happen next, because nothing is set up before it occurs. Since magic is described in this series as distracting from the obvious, not allowing the audience anything to earnestly miss betrays the concept of the film. 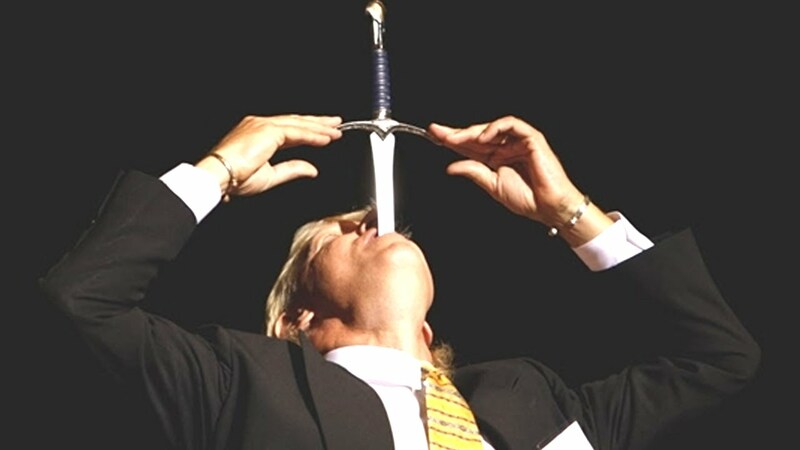 How did I swallow this sword? It was never a sword, it was a Tuna fish! What a wowzer! 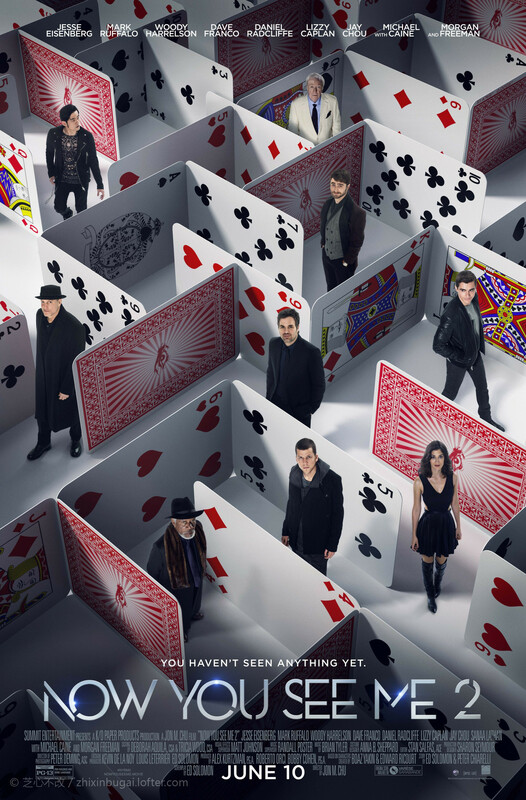 To its credit, Now You See Me 2 and the actors take the premise of this caper thriller very seriously. To it’s detriment, the film expects the audience to accept all the cheesy details without any sense of irony. Whenever the mentalist Merrick does his hypnosis act, the eye-roll factor is enormous. Each instance consists of suddenly and aggressively accosting the target, yelling “ONE TWO THREE SLEEP”, and is instantaneously successful. It has none of the high-energy present in the other illusions, and gets tiring with its repetitive nature. It’s more than alright for a movie to be cheesy, as long as the movie is still entertaining. The first film in this series became successful with audiences because knew they would see a series of flashy and amazing acts. Now You See Me 2 feels much more lackluster in comparison. It trades in public exhibitions for private capers and heists, with magic most directly used as a weapon against adversaries. It’s boring, it’s unsatisfying, and it had both the capacity and the budget to offer a much larger spectacle. Pick a card, any card. Pick a good one though, it’s the only trick we’re doing in the movie. On a positive note, the characters are all engaging and none of the cast are wasted. Now You See Me 2 does its job in balancing the large cast of characters. Merrick McKinley, despite his Svengali act, is legitimately fun to watch interact with Jack Wilder. Lizzy Caplan, as Lula May, engages in a lot of slapstick and successfully pulls off the humor. Moving into the final act, Now You See Me 2 at first appears to repair its initial shortcomings. The Horsemen arrange a series of crowd-pleasing pop-up shows across London, returning to the popular flashy illusions. As the tension builds higher and higher, the movie seems like it’s about to hit a crescendo. Instead, it relapses on its old ways and falls flat. The climax returns to the same lackluster capers that dominated the majority of the film, and the lack of payoff gives the entire affair questionable worth. This month of June has been dominated by a series of well-done films based on original concepts. Anyone who goes to the multiplex could throw a dart at the marquee board and pick a better movie than Now You See Me 2. It is a film devoid of excitement, devoid of engagement, and devoid of entertainment. Spend your money elsewhere.